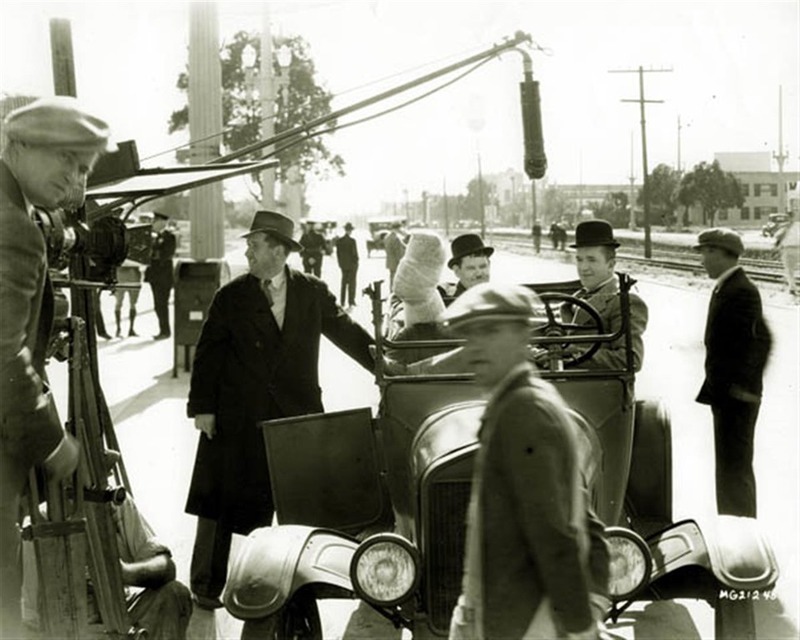 Before filmmaking became a big industry in Culver City, early film companies used the area as backgrounds for a variety of geographical areas. When producer/director Thomas Ince first sent a unit to the Culver City area around 1913, they used the La Ballona Creek as a location. Others used the open fields and hills for various settings. When Ince built a new studio on Washington Blvd. to the east of the first one he built, he added his own backlot. And when famed producer Cecil B. DeMille later took over this Ince Studio, another new backlot was developed, later to be called the “40 Acres,” situated at the end of what is now Ince Boulevard, along the La Ballona Creek. By 1925, there were five motion picture studios in the Culver City vicinity and all of them used the area in and around Culver City as a background augmenting their own backlots – and since Culver City was founded with the motion picture industry as its economic base, filming on the streets of the little town was commonplace. As the town grew in population due to the growth of the studios and its workforce, neighborhoods expanded with businesses and civic buildings creating a “downtown” center around Main Street, Washington and Culver Boulevards with the Culver Hotel at its heart. It seems that the Hal Roach Studio at National and Washington Boulevards used the downtown Culver City center most often, “co-starring” the city with its Roach stars. One of the early Roach films, Putting the Pants on Philip (1927), starred the wonderful comic team of Stan Laurel and Oliver Hardy. The storyline has Oliver Hardy showing his Scottish relative (Stan Laurel) around the town. The relative is wearing the traditional Scottish kilt and hat and draws a lot of unwanted attention from the townspeople. Most of the action takes place on Main Street and Culver Boulevard in front of the Culver Hotel. Scenes like these made Culver City world-famous not only as a studio town but also as a film background location. The photograph pictured shows Laurel and Hardy on location on Culver Boulevard in front of the Culver City Hall for the film, County Hospital (MGM, 1932). The Roach company used the City Hall building as “The County Hospital’” with Culver Boulevard seen in the background. 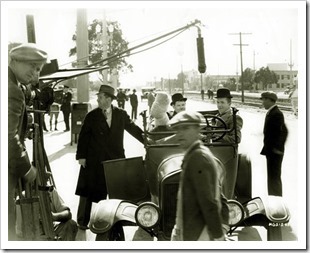 Here we see director James Parrott and his crew getting ready to shoot a scene in front of the Culver City Hall. Basically, the plot follows Hardy going into the hospital after hurting his leg (which is bandaged). Stan comes to pick him up at the hospital to take him home. After Hardy is in the car, Stan proceeds to drive through Culver City causing accidents and other mayhem putting Hardy and his leg in more jeopardy! During the filming on the city’s streets, there were uniformed police officers guarding the production and keeping the public at a safe distance. It was a big event for Culver residents to see their favorite star(s) on location – not unlike today’s fans who still get excited when they see stars working on the streets around the city.